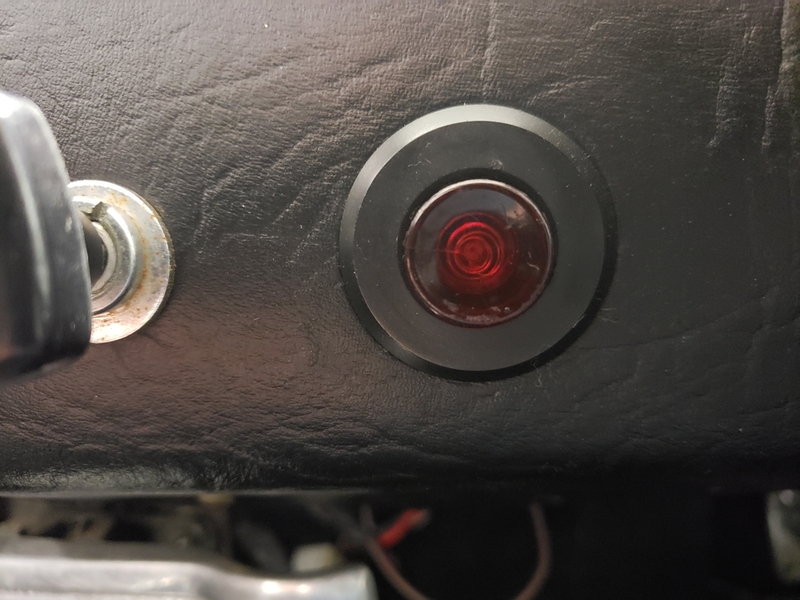 One of the electrical parts in my 1971 that worked was the hazard switch. Unfortunately, it popped out today (hazards on position) and will not go back in and lock in the off position. I have searched and read up on the various alternatives - and read that mine is less likely to be repairable than later switches. My question, however, is about aesthetics instead. My red lens has no writing on it. I do not see any evidence that there ever was any writing on it, but it is possible that if the writing was just paint it could have been rubbed away long ago. I am just curious if some early Panteras (mine is 1418) had a plain red hazard switch lens with no writing on it. Luckily it looks like I can spin the lens off and put it on another switch (assuming they have the same lens design) if the car indeed came that way. You're correct- some red hazard switches had lettering and some did not. The lenses all unscrew and can be swapped, as can the knurled retaining rings. Matter of fact, entire switches can be swapped but the switch wiring letter-codes embossed on the back varies. A few minutes work with a VOM can sort them out. That includes ones from FIAT, Alfa Romeo and other '70s Euro cars. I've seen both series of switches and both lettered and plain lenses on various years of Panteras. Many vendors carry new switches. The early Panteras did not have lettering on the hazard switch. As you discovered, the red lens unscrews; it can be used on the later (lettered) switches.